SKU: SKU16172. 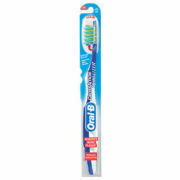 Categories: All Manual Toothbrushes, Oral B Manual Toothbrushes. 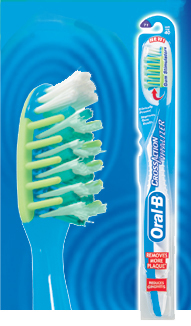 Oral-B CrossAction Vitalizer is clinically proven to significantly reduce gingivitis in only four weeks of use. 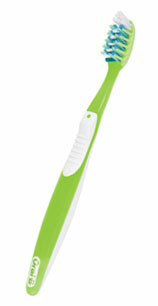 It is also proven to reduce plaque between teeth by as much as 90 percent after one brushing. 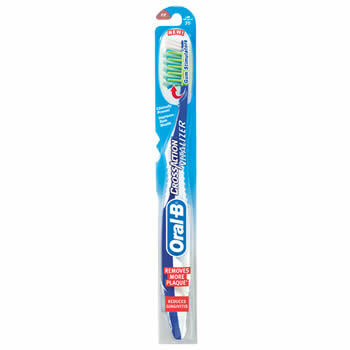 Oral-B CrossAction’s proprietary CrissCross bristles are positioned in opposing directions and are designed to flex and then straighten, actively penetrating between the teeth and along the gum line to lift out and sweep away plaque. Two rows of soft gum stimulators, positioned on either side of the brushhead, massage gums. Multi-section elevated Power Tip bristles at the front of the brushhead wrap around teeth and help to brush hard-to-reach areas. 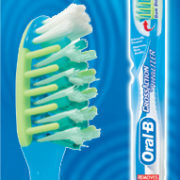 Patented blue Indicator bristles fade to signal that it is time to replace the brushhead. A wide, ergonomically designed handle fits comfortably in the hand and offers a secure grip to maneuver the brush with precision. 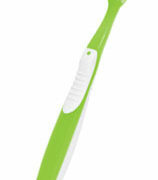 CrossAction Vitalizer is available in four different translucent handle colors: aqua, indigo, chartreuse and raspberry.